This blog supports the teachings of Archbishop Marcel Lefebvre, and we now see the SSPX having its own version of Vatican II, where the top has ceased condemning the errors as they once did in the days of Archbishop Marcel Lefebvre. We support any Catholic priests who are in union with Eternal Rome. This movement is misguided, wrong, disobedient, and egotistical. Every little bit oozes the work of satan. Please don't do this, fall in behind your leader, and be subservient as Jesus was to Gods will. Your work on earth is to save soles; you will lead more soles away from God with what you are doing. Lower your heads in shame and ask for forgiveness. That's what they said after Vatican II for all of those who did not go along with the modernist changes. We have fallen in behind Eternal Rome and the Martyrs, which have led us to be like Our Lord, Jesus Christ. Who is the leader you want us to follow? Just any leader, as long as we shut up, is that it? What country are you from? Who is your leader? Do you have some sort of doctrinal reason for your statement or are you just trying to keep the truth hidden? Maybe you want us to believe that Rome is converting and doesn't need the Immaculate Heart of Mary to Triumph, just Bishop Fellay and the SSPX. To me that is egotistical to think that we (the SSPX and the Faithful) can convert and conquer Modernism by being underneath the same Bishops that have shut down Tradition as hard as they could for the last 50 years. If you would speak against modernist changes, please continue to do so; assuming that these said changes are against faith or morals. It seems however that people are willing to define for themselves what comprises good and evil, outside of what they have learned by the teachings of the church. Keep in mind that perfect obedience comprises obeying your superior in all things lawful as is said in the Summa Theologica. "Accordingly we may distinguish a threefold obedience; one, sufficient for salvation, and consisting in obeying when one is bound to obey: secondly, perfect obedience, which obeys in all things lawful: thirdly, indiscreet obedience, which obeys even in matters unlawful." It is simple really. If you want to be perfect than you must obey, unless there is something unlawful involved. Tell me what the SSPX has done which is unlawful, as defined by the church, and I would hope to be the first person to criticize that offense, to our God. If you want to compare the Second Vatican Council to the present situation, you must show where there are errors against faith or morals. By defending the faith, we are sometimes led to criticize the authorities in the church, as often happens today. However, to criticize them without cause and accuse them of error when it does not exist is slander, and incidentally modernistic. To follow another religious belief for a Catholic is a sin against the first commandment, to follow in the ways of the un-Catholic modernist apostate church leaders is a sin against our Faith and leading to non-salvation, therefore as St Thomas says in your quote, we must not follow. It is already confusing enough being a SSPX Traditional Catholic when there are now the Fraternity of Saint Peter and The Institute of Christ the King, as well as many other Latin masses offered with their own "order". To add yet another separation is only confusing the Traditionalist Catholics that much more. If we want reconciliation with the Holy See without having to deny what Vatican II has done to the Faith, then why separate again? I am a convert of a year and a half and this recent separation has concerned and confused me much more than ever imagined. I faced many trials trying to discern the separation between Vatican II and the Latin Mass in general, and now with this new separation, I have questioned many things that I should not be questioning. I look up to Priests' as if they are walking Saints, and to see such Faithful Priest's leave the SSPX due to more speculation,confusion, and things/conversations we faithful may never know or understand, only leaves me with a hollow hole in my heart. My desire is that all Faithful of the Latin Mass will help the sickness that is within the Church to see what will bring Her back to true Faith through our divine example. Separating and being bitter is not the Catholic Faith I was taught so very recently; I was taught the virtues of our shared Faith that have continued to keep us all faithful. Very humbly I admit to thoughts of how easy it once was to life a life with no fear of Hell or mortal sin; but I am always brought back to the Faith of our salvation through the Crucifixion of our Lord that to live without fear of Hell is to condemn ourselves to it. I pray that these God chosen Priests' will aid us Faithful in our journey to salvation and stop the bitterness that is only assisting in the sickness that is already within the Catholic Church. I grieve deeply for the souls who have lost the Truth of our Faith, and pray for them daily. My prayers and sacrifices are offered to those who have chosen to assist in the turmoil, as well as the true Catholic Faith prevailing against all evil. Yes, very well stated Katie. I feel your pain also. I think you mean "souls". Bishop Williamson has blown Fellay's doors of by publishing his response to Ratzinger concerning the doctrinal preamble.Absolute sell out of Roman Catholic Tradition,and a betrayal of Archbishop Lefebvre to the Uncatholic sect who controls the Vatican.Well done Bishop Williamson and the brave Fathers who have exposed Fellay,and who will not compromise with Modernist Rome. Well done, Bishop Williamson and the priests of the sspx-so. You are in my prayers and support. May the Immaculate Heart and the Sacred Heart of Jesus guide, protect and bless you. Ave Maria! Here Cardinal Kasper is saying that the documents themselves were constructed in such a way as to permit progressive interpretations when put into the hands of progressive theologians or bishops. Here the cardinal agrees that the conflict is inherent to the texts themselves produced by the Council and not due to some later wrong interpretations of it. Contra to the conservative mantra of "perfect documents - imperfect implementation", Kasper affirms the traditionalist critique of "imperfect documents lead to imperfect implementation." 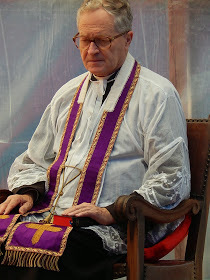 In other words, there is an intimate and logical connection between the documents and their implementation.-SSPX,USAThe conflict arose because of the active influence of Cardinal Richard Cushing and the Jesuits at Vatican Council II. They were citing the Letter of the Holy Office 1949 of Pope Pius XII,as if it was a break through, something new in the Catholic Church. Since this was a magisterial document for them, they wanted its message also included in the Council. The Letter of the Holy Office only mentions being saved in implicit desire and in invincible ignorance. This is nothing new. This is traditional. However the Cardinal and the Jesuits interpreted being saved in invincible ignorance etc as being explicit, visible to us in the present times and so an exception to the dogma extra ecclesiam nulla salus. So when the conservatives at Vatican Council II accepted Lumen Gentium 16, for instance,which says that a person can be saved in invincible igorance etc they knew that these were implicit cases,known only to God and so were irrelevant to the dogma extra ecclesiam nulla salus and the Syllabus of Errors. Cardinal Kaspar and the liberals, like the Jesuits and the Archbshop of Boston, assume that LG 16 refers to visible, instead of invisible salvation and so the confusion arises.There is ambiguity. There are two positions to a simple text. One can interpret LG 16 as referring to known exceptions to the dogma or as referring to invisible cases and so irrelevant to the dogma.The text is neutral.One uses a rational or an irrational premise.It can be assumed that we can see the dead saved in invincible ignorance or that we cannot see them. This is the premise which will influence theology and the interpretation of a traditional Council. When it is realized that LG 16 etc can rationally only refer to cases invisible for us we are left with only one rational interpretation of the Council. This is the traditional one. So when Cardinal Kaspar etc say there is a progressive interpretation with regard to other religions and ecumenism they should be asked to name someone in 2013,who is a visible exception to the dogma. Also they should be asked to cite text in Vatican Council which says these cases are visible to us or that they are exceptions to the dogma on salvation. There is no such text. "Ask, and it shall be given you: seek, and you shall find: knock, and it shall be opened to you." Here is a link in which the SSPX has as a means to defend their position. May the Immaculate Heart and the Sacred Heart of Jesus guide, protect and bless all who seek the truth, who seek God. Deus vobiscum! Sspx need only to look at their founders wisdom for establishing the society to begin with. Even with age, he did not cave in as he saw the great disgrace the Vatican 2 council would bring the church and the loss of millions of souls. As they have aged, have the leaders of Sspx softened their position due to an outstretched hand by the Vatican for what? Compromise? Hmm. Satan loves compromise. Don't they understand that if it were not for the society, there would not be near as many tridentine masses available as there are now. I want to know if the original SSPX is still good or if it's becoming modernistic or not. Listen to the sermons and you'll have a good explanation and answer for this question. Reports from priests and faithful from all over the world are confirming that the SSPX Regular has opted to obey their superiors and Bishop Fellay and keep their mouth shut, rather than speak out against the problems in the SSPX and the Church. 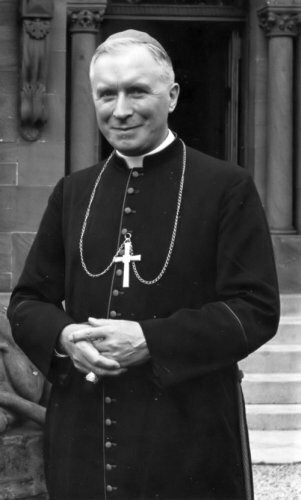 They seek a deal with Modernists Rome in terms strongly condemned by Archbishop Lefebvre. They are changing "Archbishop Lefebvre" into their own version to support the changes. Let me know if you need more help in this regard, I can recommend a few sermons on this. well the sspx school in ohio has students graduating there intellectually trained for the world, but morally off base, and this evident on their facebooks. I'm a bit curious who chose or how the name SSPX of the Strict Observance was chosen and why. Is anyone able to provide this information? I seriously believe the current Pope Francis is a Mason. He recently gave a woman in Argentina who is divorced, and married again with 2 children, permission by phone to receive Holy Communion. And when the likes of Elton John are lauding his greatness and genuineness there must be something underhanded about him. In recent times, we have seen the development of a Resistance movement that is drawing disciples away from not only the Society of St. Pius X, but others in the Traditional Movement that are dis-satisfied with the effect that Vatican II has had on the Church, as well as the overall decline of tradition and the moral rot that we find in Rome today. The Resistance is developing into a significant religious movement with now defunct Bishop Williamson and his Headquarters in England, as well as Fr. Pheiffer’s seminary in Kansas. It seems that they are attempting to copycat the SSPX and insist they they are the ones that are carrying on the work of Archbishop Lefebvre. This is nonsense however, because they have either gotten the left foot of fellowship from the Superior General of the Society, or they have chosen to leave on their own accord. This puts them without any authority whatsoever. It’s important that we turn our attention towards these events that are transpiring within the Resistance movement because the theological mindset that is prevalent there will affect many more people than just those who choose to join their ranks. It’s important to understand that those who have left the SSPX, and others in the traditionalist movement with no lawful authority, are outside the Catholic Church, although they have elements that may seem to distinguish them as being Catholic. They certainly dress the part, that’s for sure. They talk the talk. It appears that they are walking the walk. Just one problem though, in leaving the Society and drawing people away with them, they have placed their souls and the souls of those under their influence in grave jeopardy. They have taken up anchor and are afloat in an unknown sea of uncertainty. They have no Bishop. They may see themselves as unfurling the Catholic banner or upholding the standard of Catholicism but in truth, the whole thing has morphed into a movement of self-aggrandizement and notoriety. The Resistance thinks they have cornered the market on the truth, but the truth is that they have somehow managed to exclude themselves from it. Our Lord Jesus Christ said, “I am the Truth.” It’s amazing. The Holy Spirit cannot be found outside the Catholic Church. Jesus Christ is the Head of the Church which still can be found in Rome. I am fighting for truth within the Church. The Resistance is fighting against Her from without. They should stop kicking the pricks. To be a partaker of another man’s sin is to go to hell for something you didn’t even do. What a shame to reap no benefits from the truth you claim to proclaim. The truth is little more than their step child. They are using it just to further their own cause. And just what is that? Good question. Such is the Resistance. Pity. They have so much good to say, but sadly, it is little more than an echo. They do not speak for the founder of the Society they have abandoned. They do not speak for God. As they reminisce about all the Archbishop has accomplished, and seek to exalt his memory, they find themselves involved in little more than hero worship, having nothing to do with the Communion of Saints. Their darkened minds sink even lower, as they slander and smear the good name and reputation of those in lawful authority; not realizing that in doing so, they endanger their own souls, and that if they bite and devour one another; they will be consumed by one of another. Not having ever attended an SSPX mass,these men have my support.My church is Independent with a Thuc line bishop as pastor.We celebrate the Mass of 1570,nor do we acknowledge Vatican 2.Its my wish that all catholic churches with valid clergy to unite and operate as a true catholic church with our own hierarchy. (Great Western Schism) May the blessings of blessed Lord Jesus Christ guide and bless the SSPX-MC.